Higher education can mean a higher salary. With a bachelor’s degree, you could get a six-figure job in one of these fields. High-paying jobs you can get with a four-year degree. College tuition might cost a pretty penny, but data shows that the payoff can definitely be worth it when it comes to finding a job. With a bachelor’s degree, the Bureau of Labor Statistics (BLS) says you’ll have your pick of about 174 different career paths that are projected to grow by 10% from 2016 to 2026—much faster than the average 7% growth rate for all occupations. Perhaps that’s why the unemployment rate for workers with bachelor’s degrees is at a low 2.7%, compared to those with less education. While the average yearly salary for workers with bachelor’s degrees is $60,112, according to the BLS, you can earn as much as six-figures with a college degree, which usually starts by choosing the right major. Want to make sure your bachelor’s degree gets you the most bang for your buck? Using BLS data, Monster identified the top 10 highest-paying jobs that you can get with a bachelor’s degree. Running the gamut from engineering and tech jobs to HR, advertising, and marketing management positions, you can really make some serious dough doing a lot of different things with a college education on your resume. Take a look at the full list below—ranked by salary—to see if getting a bachelor’s degree is worth it to you. What you’d do: Often referred to as IT managers or IT project managers, computer and information systems managers plan, coordinate, and direct computer-related activities in an organization. Their main duties include installing, maintaining, and upgrading computer hardware and software and ensuring the security of an organizations’ network. What you’d need: A bachelor’s degree in computer or information science is sufficient, but a graduate degree can help when you’re vying for that management position. Find all computer and information systems jobs on Monster. What you’d do: Architectural and engineering managers lead research and development projects to produce new products, processes, or designs. What you’d need: A bachelor’s degree will get your foot in the door, but you’ll need considerable work experience in order to become a manager. Find all architecture and engineer jobs on Monster. What you’d do: To generate interest in products, services, or even entire organizations, managers in these fields create marketing plans, plan promotional and advertising campaigns, evaluate website layouts, and initiate and analyze market research studies. What you’d need: Most managers hold a bachelor’s degree in advertising, marketing, business, communications, or journalism. While in school, completing an internship can help in the post-grad search. After graduation, most find jobs as sales representatives, buyers or purchasing agents, or public relations specialists before moving into a management position. Find all advertising, promotions, and marketing jobs on Monster. What you’d do: We all like getting paid, and compensation and benefits managers are the people who make it happen. Their duties include developing an organizations’ pay and benefits structure, researching competitive wage rates, ensuring that pay and benefits comply with federal and state regulations, preparing program budgets, and distributing pay and benefits information to employees. What you’d need: A bachelor’s degree in either human resources, business administration, business management, or finance will get your foot in the door, but to become a manager, you’ll need at least five years of experience. Although not legally required to do the job, obtaining a certification can help make you more attractive to employers. Find all compensation and benefits jobs on Monster. What you’d do: As a computer hardware engineer, your job responsibilities include researching, designing, developing, and testing computer systems and components, such as processors, circuit boards, memory devices, networks, and routers. What you’d need: While a bachelor’s degree in computer engineering is most common, a degree in electrical engineering or computer science is generally acceptable, as well. Find all computer hardware jobs on Monster. What you’d do: Aerospace engineers spend their days designing aircraft, spacecraft, satellites, and missiles as well as creating and testing prototypes to make sure that they function properly. What you’d need: A bachelor’s degree in aerospace engineering is required to get a job. Before applying, check out these sample resumes for entry-level aerospace engineers and midlevel aerospace engineers. Find all aerospace engineer jobs on Monster. What you’d do: As an airline or commercial pilot, you would fly and navigate airplanes, helicopters, and other aircraft. What you’d need: Most airline pilots begin their careers as commercial pilots to gain experience, and a high school diploma or equivalent plus a commercial pilot’s license from the Federal Aviation Administration (FAA) is all that’s required to get started. But to become an airline pilot, you’ll need a bachelor’s degree and the FAA-issued Airline Transport Pilot (ATP) certificate. If you really want your career to take flight, check out this sample cover letter before applying to jobs. Find all pilot jobs on Monster. What you’d do: Computer network architects design and build data communication networks, such as local area networks, wide area networks, and Intranets. What you’d need: A bachelor’s degree in a computer-related field is standard. Find all computer network architect jobs on Monster. What you’d do: By applying the principles of chemistry, biology, physics, and math, chemical engineers solve problems and design processes and equipment that involve things like chemicals, fuel, drugs, and food. What you’d need: In addition to a bachelor’s degree in chemical engineering, you’ll also want to complete an internship or engineering co-op. Oh, and don’t forget to make sure your resume has all the right elements—check out this sample resume. 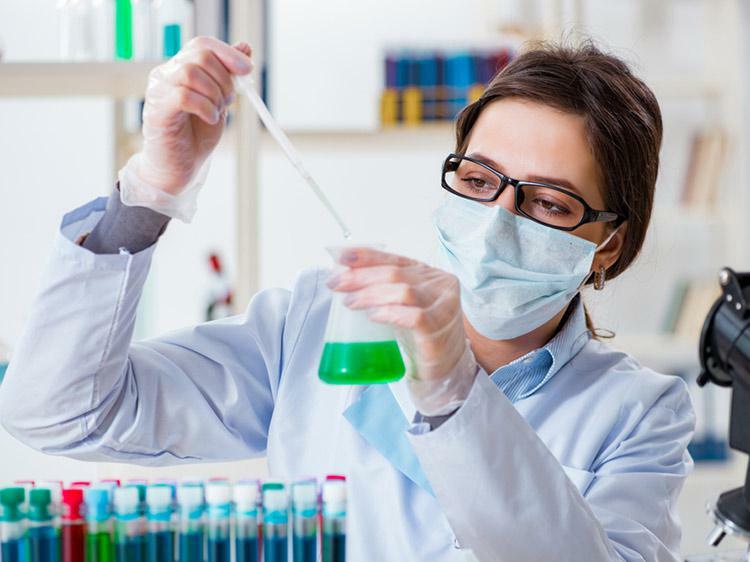 Find all chemical engineer jobs on Monster. What you’d do: An essential component to the insurance industry, it’s an actuary’s job to help businesses and clients develop policies that minimize the cost of risk. They do this by analyzing the financial costs of risk and uncertainty, using mathematics, statistics, and financial theory to assess potential risk. What you’d need: Typically, actuaries hold a bachelor’s degree in mathematics, actuarial science, statistics, or some other analytical field. You’ll also need to pass a series of certification exams. Find all bachelor’s degree jobs on Monster. Now that you have your bachelor’s degree, it’s time to put your education to work. Could you use some help finding the right job for you? Join Monster for free today. As a member, you can sign up for job alerts to be sent directly to your inbox. Additionally, you can upload up to five different versions of your resume—each tailored to different types of jobs you're interested in. Thousands of employers search Monster every day, looking for qualified workers just like you. Leverage your college education to get you a good-paying job today.